Fremantle wasn’t settled in 1829. Instead local Aboriginal families known as Whadjuk people owned land around Walyalup (Whadjuk name for Fremantle), extending South of the Swan River, from the Indian Ocean to Canning River. The Whadjuk people were part of a larger group that have existed in the South-West of Western Australia (WA) for more than 50,000 years, known by their common language: Nyoongar. The City of Fremantle acknowledges that there is a wide diversity among Aboriginal and Torres Strait Islander communities, including different cultural groups with different history, languages, beliefs and traditions. This diversity is reflected in the Aboriginal and Torres Strait Islander population of Fremantle itself, set at 1.5 % or 427 out of 28,893 residents by the 2016 Australian Bureau of Statistics’ census. In the first half of the 20th century a period of exclusion prohibited Nyoongar people from entering Fremantle (only few men working on the wharf were allowed, and were living on camps at the fringe of the city). Many Nyoongar people migrated to the metropolitan area when the Native Welfare Department started its housing program in the 1960’s. Coolbellup and Hamilton Hill saw a large influx of Nyoongar people. These people came primarily from the South-West and the Wheatbelt (Robinson, 1977). This migration explains the cultural primary land association for many families living in Fremantle today. Learn more about Walyalup Aboriginal history. In 2016, the City of Fremantle engaged with descendants of the original Whadjuk people whom were dispossessed from their land in 1829. 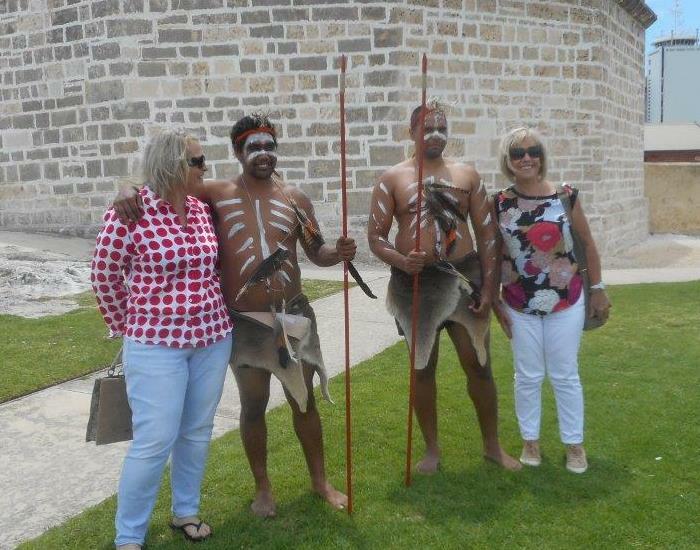 The Whadjuk advisory group were consulted on the Aboriginal heritage within Fremantle. There are 3 registered Aboriginal sites; Cantonment Hill (Dwerda Weearinnup), Rocky bay (Waugul cave) and Swan River (Derbal Yirragan). From this consultation came the Walyalup Statement of Significance. Abor​iginal: An original inhabitant of the Australian continent and nearby islands. Aboriginals migrated from the Indian continent 75,000 - 100,000 years ago. Nyoongar: An original inhabitant of the South-West (Dongara to Esperance) of Western Australia that identifies as part of a community which shares a common language (Nyoongar), law and custom. There are 14 identified dialect groups within this Nyoongar region. Historical People: Includes people living in a particular area, but who do not have ancestral links to the area, or have come from outside the region they live in. Traditional Owner: A person recognised as a member of a dialect group whose lands lie within the region; that is, they are accepted by the community as belonging to one of the relevant families, primarily though socially validated genealogical connections. They are the ones who can legitimately ‘talk for country’, perform Welcome to Country, Smoking Ceremony and thus should be consulted about its use. Whadjuk: is one of 14 dialectal groups of Nyoongar people. 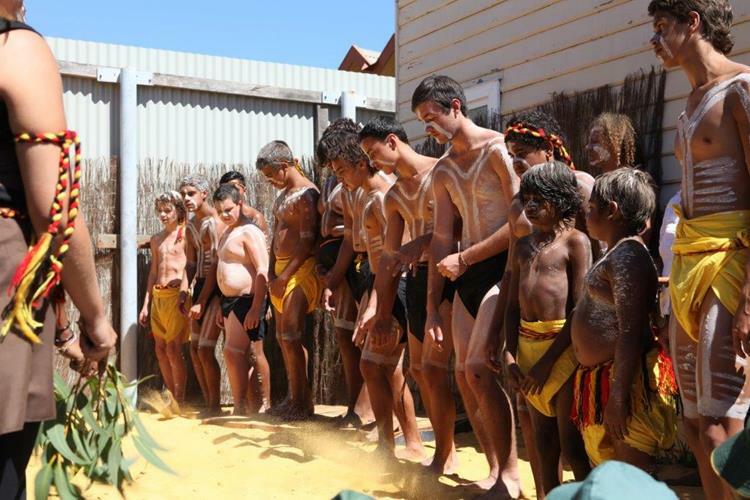 Whadjuk is the name of Traditional Owners of the Perth region including Fremantle. Whadjuk People is also the name of the registered Native Title claim 2011. The Welcome to Country ceremony is an acknowledgment and recognition of the rights of Nyoongar people. These rights are incapable of being transferred or surrendered and are inherited through family lineage to an area of land and under Nyoongar lore and custom, they are respected as sacred by most people. The act of getting an appropriate representative who has descendant rights to a particular place, area or region, is an acknowledgement of respect for traditional owners and their custom. The land, waterways and cultural significant sites are still very important to Nyoongar people. It is an acknowledgement of the past and provide a safe passage for visitors and a mark of respect. For the Walyalup area, only a Whadjuk traditional owner could decide for the need for a Welcome to Country, and run it. By definition Whadjuk traditional owners must be a biological or adopted descendant of the ancestors named on page 2 of the Whadjuk People claim. If a Whadjuk traditional owner is unable to conduct a Welcome to Country ceremony, an Acknowledgement of Country should be observed, made by the most senior representative of an organisation in attendance. "We would like to acknowledge this land that we meet on today is the traditional lands of the Nyoongar people and that we respect their spiritual relationship with their country. We also acknowledge the Whadjuk people as the custodians of the greater Walyalup area and that their cultural and heritage beliefs are still important to the living Whadjuk people today." The City of Fremantle can provide a list of Whadjuk traditional owners, or inform you about the appropriate protocols. Contact us.